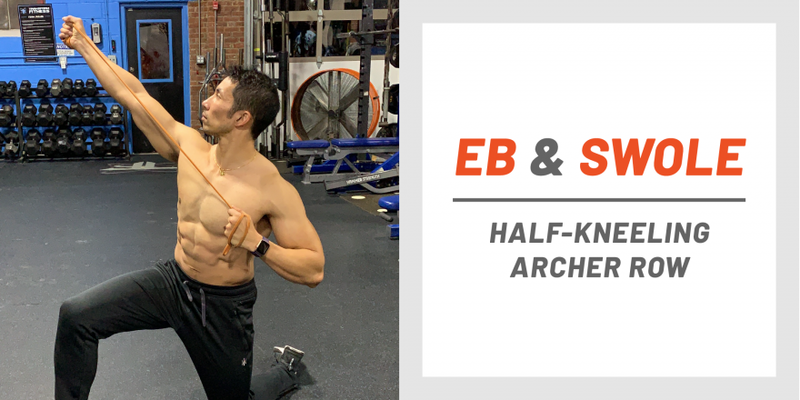 To perform the half-kneeling archer row, all you need is a light resistance band. You want to be able to get the full range of motion through the entire move, so if it’s too hard to pull the band you have, opt for a smaller option. If you need a new one, check out this set from Serious Steel Fitness. Add the half-kneeling archer row to start your upper body workouts with 3 sets of 12 to 15 reps. Remember, keep the resistance level manageable. For more tips and routines from Samuel, check out our full slate of Eb and Swole workouts. If you want to try an even more dedicated routine, consider Eb’s New Rules of Muscle program.